FROM THE VERY earliest days of film, Berlin has made essential contributions to the medium, as both a center of production and a filming location. One of the most legendary silent films of all time, The Cabinet of Dr. Caligari, was made in Weißensee in 1920, part of a golden age when hundreds of films were produced in Berlin's "Little Hollywood". The city itself played the starring role in both Berlin: Die Sinfonie der Großstadt (1927), Walter Ruttmann's kaleidoscopic celebration of the city during the Weimar era, and the beautiful and wistful Menschen am Sonntag (1930), written by a young Billy Wilder. As much as most silent films are poignant documents of a lost age, those from Weimar-era Berlin are especially so, followed as they were by the rise of the Nazis and the subsequent destruction of so much of the city. And while it's heartening that so many films have survived as testaments of this lost era, it's truly rare that an actual theater from the same era not only survives, but continues to operate in 2018. 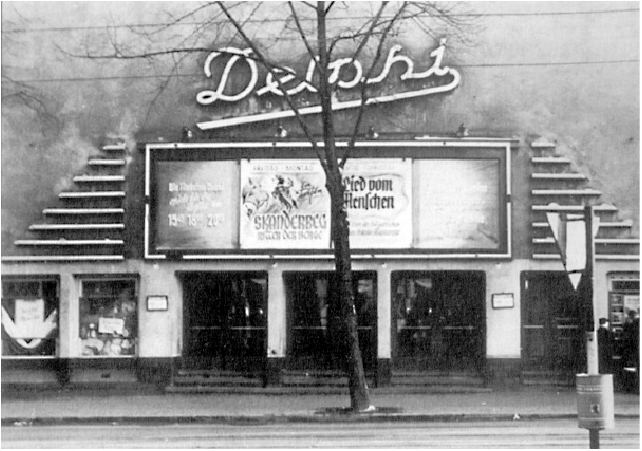 Weißensee's Stummfilmkino Delphi (Delphi Silent Film Theater) opened on November 26, 1929, during the still-golden era of the Weißensee studios. The theater's interior was huge for its time, featuring seating for 900 patrons on two levels, an orchestra pit, and an 8-meter-wide stage below the screen. It would remain active for a full three decades and even survive the war, until residual damage to the roof from Allied bombs was discovered in 1959, forcing its closure. In 2005, after sitting unoccupied for nearly half a century, the building was finally renovated to the point that it could reopen to the public in 2010. Architecturally, the interior of the updated Stummfilmkino remains largely unchanged, with bars at the entrance and in the auditorium, a combination hallway/waiting area that runs down the right side, and a winding staircase that leads up to the balcony. The seats have been removed, allowing for a more mixed-use space that hosts live music and theater as well as films, though the stark stone walls and classical arch formation over the screen remain. The Kino Babylon, like the Stummfilmkino Delphi, opened in 1929, and remains one of Berlin's most active independent theaters. In addition to a solid schedule that includes premieres, international retrospectives, and regular programming running on multiple screens, the Babylon also hosts a robust silent film program. In addition to hosting numerous silent classics (some with full orchestral accompaniment), the Babylon also offers a silent film with free entry every Saturday at midnight. 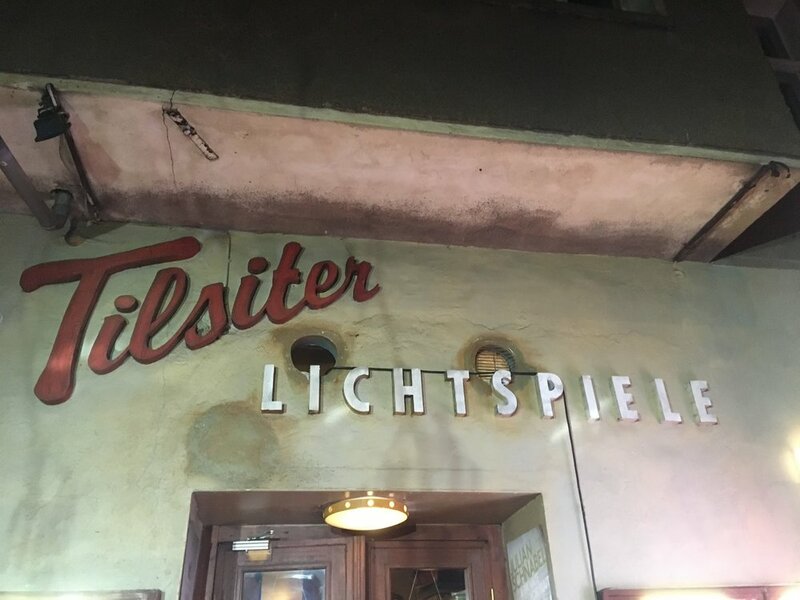 There are a staggering number of neighborhood and underground (some literally) cinemas all over Berlin, including the Filmrauschpalast Moabit, the Arsenal, and the Eva Lichtspiele, which features one of the wildest neon signs in the whole city. A note about languages: The regular classifications (OmU, "original with subtitles", and OmeU, "original with English subtitles") are often not applied to silent films, most of which inherently include intertitles in the original language of their country of origin. Some may also include subtitles in addition to these intertitles, but if language is an issue, be sure to confirm the exact format.